Chicago: The Art Institute of Chicago, 1972. Softcover. Large Octavo; pp 116; G/paperback; black spine with white text; covers shows moderate rubbing to exterior; slight wear to exterior edges; text block shows light toning to exterior edges; interior clean; aerts - Modern. FP New Rockville Stock. Tokyo, Japan: Yukio Futagawa, 1981. Additional shipping necessary for expedited/international shipping. Economy international shipping unavailable due to weight/size restrictions. Please contact seller for additional information. Reprint; Quarto; VG/no-DJ paperback. Cream white spine with black text in Japanese and English, red number four also printed on spine; Covers have general shelf wear of scratches and scuffs, top right corner of front cover has been bent, back cover corners have been bent too, fraying to back cover corners has begun, quarter inch dent to bottom edge of cover,spine is sunned, covers are otherwise clean and cover design is clear; text black has some scratches and shelf wear, dent mentioned at bottom of back cover also affects textblock, very last page had been bent at the corner, and has a few smudges, photography is clear and vibrant; Pages not numbered; Additional pricing may be required for an international order. Shelved Rockville Bookstore. Tokyo: A.D.A. Edita Tokyo Co., Ltd, 1994. Softcover. Quarto; VG-/no-DJ paperback; white spine with black text; Covers have slightly rubbed and slightly sunned exterior with minor edge wear and panels are sturdy and intact; sticker in rear; Text block shows slight toning due to age with light age toning around edges; front cover and ffep are adhered together at fore edge, as is; otherwise clean and intact pages; pp 40. Japanese & English text. Rockville Non-Retail Listings. Tokyo: A.D.A. EDITA, 1982. Softcover. Quarto; VG/no-DJ paperback; white spine with black and red text; cover has minor shelfwear, age toning; textblock has slight edgewear, age toning to exterior, otherwise clean; pp 175; in Japanese and English. Shelved Rockville Bookstore. Washington, D.C. and Göttingen: Hirshorn Museum and Sculpture Garden, Smithsonian Institution, 2004. First Edition. Hardcover. Quarto 173 pages; VG; bound in grey cloth, spine is grey with black text, pictorial cover; spine bumped at head, damp-stain on cover; front free endpaper torn in half down the middle of the leaf; sagging to textblock; interior clean, binding sturdy. shelve photography. Shelved Dupont Bookstore. London, New York, Leipzig: Edition Peters, 1998. URTEXT. Folio; vg/wraps; white spine with maroon text; minor shelf wear and bumping; text block, clean; piano, 87 p., violin, 16 pp; else very good; ---TEXT IN GERMAN, ENGLISH, AND FRENCH. ---[ISMN 57708-007-9. Shelved Rockville Bookstore. New York: Covici-Friede Pubs, 1929. First limited edition (#300 of 750); illustrated by Rockwell Kent. Thin octavo bound in off-white paper covers with gold letters on spine; VG; ex-libris copy with stamps; covers wavy and slightly soiled; parchment hand made paper clean; first front end pages have a tiny stain; contains 4 illustrations; deckle edges; pp. 33; shelved in Case 0. Rockville Non-Retail Listings. New York: Theatre Arts Books, 1959. Tall octavo; vg/wraps; white spine with no text; saddle-stitched; minor shelf wear and bumping; text block, clean; unpaginated; 40 pp. 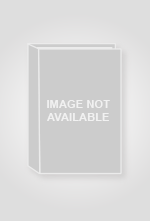 ; illus., photos and text figures; sunned; else very good; --INSERTION: Gagaku Program. Shelved Rockville Bookstore. Waco, Texas: Texian Press, 1963. Signed Limited Edition. 8vo., xii, 294pp. ; VG; spine red with gilt lettering; very minor rubbing to corners, minor rubbing to head and tail of spine, signs of wear along spine edges; pink spotted text block; errata slip tipped in; this is copy number 22/50, signed by both authors and a representative of the publisher; second front endpaper has a newspaper clipping pasted regarding the book; minor pen markings very sporadically; shelved case 1. Shelved Dupont Bookstore. Geneva: Saas-Fee, 1976. First Edition. Octavo; VG/No jacket softcover; Red spine with black lettering; Wraps are clean with some light wear to the edges, some creasing to the front; Binding is sturdy; Text block is clean; 252 pages. Shelved Rockville Bookstore. S. Luis - Maranhao: Revista Legenda Editora, 1961. First Edition Thus. Octavo; 106pp; wraps printed in color; minor wear and chipping at crown and foot; else very good. Inscribed by author on title page. [Spine; black letters on buff paper]. Rockville Non-Retail Listings. Madrid: Tipografico de Ricardo Fe, 1887. Third Edition. Duodecimo; 2 volumes bound as one with original paper wraps bound in; full brown cloth. minor exterior wear and foxing to text block edges; contents very good throughout. 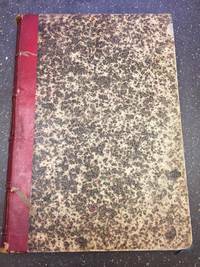 [Spine; gilt title on brown cloth]. Rockville Non-Retail Listings. 1839. Published about 1839. Large folio (33.5 x 46 cm), unpaginated, engravings of paintings numbered 2226 through 2686(most, but not all, appear) bound in marbled boards with leather spines with gilt titles. There is no volume index or table of contents, Condition is Very Good, with much shelfwear to edges of covers, leather gone from corners, a chip starting at top of spine, but otherwise tight, bright and with very little to no foxing. Shelve Front door case. Shelved Dupont Bookstore. 1839. Hardcover. Large folio (33.5 x 46 cm), unpaginated, engravings of paintings numbered 951 through 1042, the last one not numbered(most, but not all, appear) bound in marbled boards with leather spines with gilt titles. There is no volume index or table of contents, Condition is Very Good, with much shelfwear to edges of covers, leather gone from corners, but otherwise tight, bright and with very little to no foxing. Shelve front door case. Shelved Dupont Bookstore. 1839. Published about 1839. Large folio (33.5 x 46 cm) engravings of paintings numbered 730 through 947(most, but not all, appear) bound in marbled boards with leather spines with gilt titles. There is no volume index or table of contents, Condition is Very Good, with much shelfwear to edges of covers, leather gone from corners, but otherwise tight, bright and with very little to no foxing. shelved front door bookcase. Shelved Dupont Bookstore. Roma: Universitatis Gregorianae, 1947. Serial. 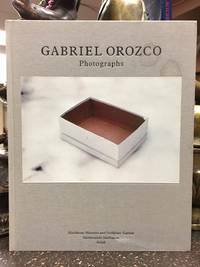 Octavo; good+/wraps; tan spine with no text; front panel with black and red text; minor shelf wear and bumping; text block, clean; 127 pp. ; rare but occasional pencil marking; sunned; spine, head-edge, split start and break; else very good; ---TEXT IN ITALIAN AND WITH SOME CHINESE. Rockville Non-Retail Listings. Madison, Wisconsin: University of Wisconsin Press, 1974. First Printing. 8vo. VG-/ - no DJ. wraps spine appears heavily wrinkled and an olive shade with medium white and black titles. adjacent wraps cover has minor sunning, appears brown and just barely sunned to olive at upper edge. rear panel is text filled with several fine punctures. clear and excellent, neat margins, frequently illustrated or with technical figures.mild bump to rear bottom corner area. 323 pp. ISBN# 0299064042. Shelved Rockville Bookstore. London: Michael Joseph Ltd, 1956. Octavo; fair/none; blue spine with gold text; blue cloth boards, moderate bumping, chipping; pencil marks scattered throughout text block; B/W illustrations; 345pp. Shelved Rockville Bookstore. Citta del Vaticano: Floor Gres Ceramiche, Mapei, 1995. Hardcover. Quarto; VG/no DJ; Hardcover w/out DJ; Spine, white with black print; Boards in white paper with black and gold print, mild bump to spine tail, else clean and strong; Text block clean and tight; 67 pages, color illustrations. FP New Rockville Stock. London: David Bogue, n.d. [c. 1836]. 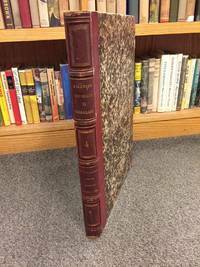 large 8vo., unpaginated; VG; bound in elaborately tooled light brown leather, paneled brown spine with gilt lettering; mild bumping and rubbing to corners, head and tail of spine; top edge of text block gilt; marbled endpapers; mild and scattered foxing throughout; 39 plates with tissue guards; shelved case 0. Shelved Dupont Bookstore.